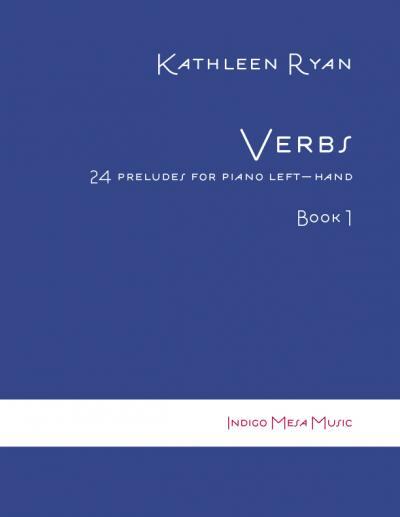 Verbs is a set of 24 preludes for piano left hand alone. Book 1 contains the first 12 preludes: Wait, Begin, Crackle, Weave, Fling, Drift, Play, Accuse, Push, Forgive, Zoom, and Close. 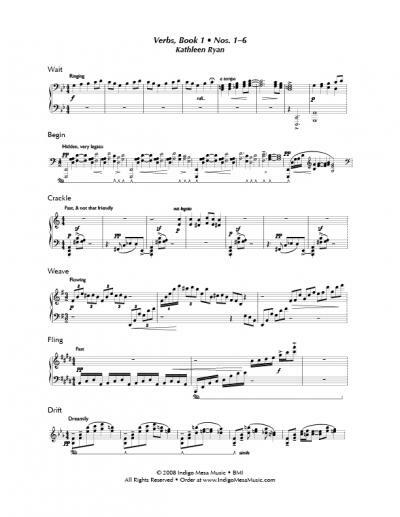 The music was composed at the request of pianist Keith Porter-Snell and premiered by him in November 2008. NOTE: The second edition of Verbs includes both "books" in one volume and is now available. We will still sell Book 1 until there are no copies remaining in inventory, but if you want all of the preludes, go to this page. 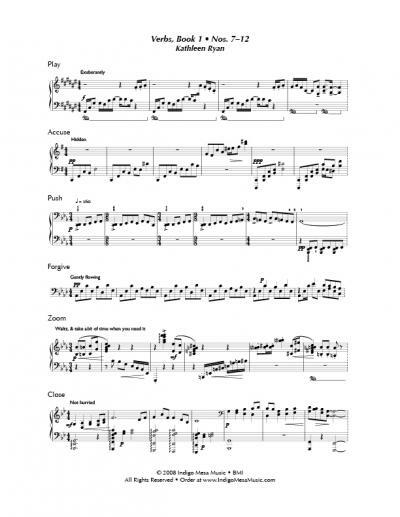 These pieces are very late intermediate and advanced piano levels.